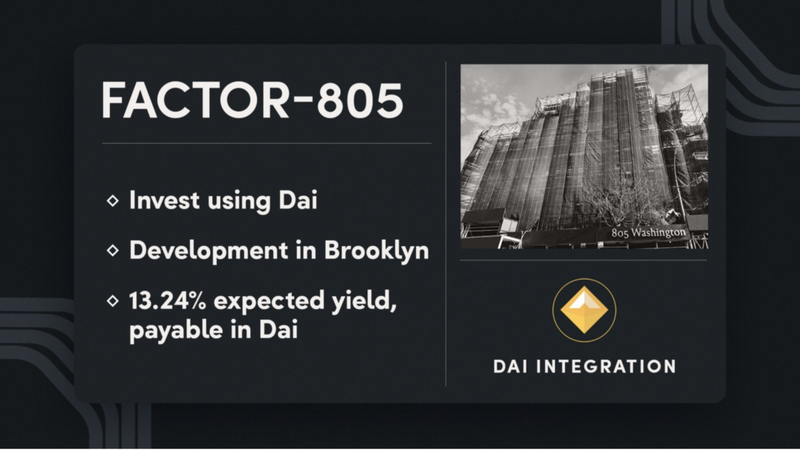 Invest in a Brooklyn property, with Dai, and receive an expected yield of 13.24%, also in Dai. Today we are pleased to introduce a first-of-its-kind investment opportunity. 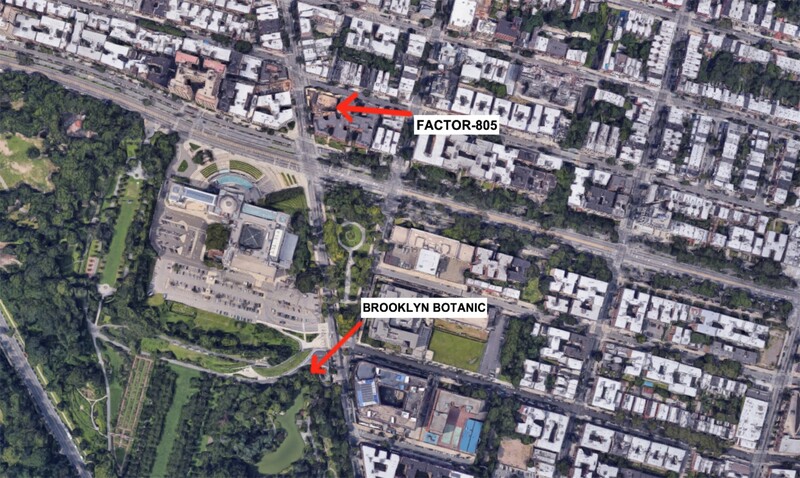 FACTOR-805 is the first real-world asset that can be tokenized and have distributions paid in Dai or fiat. FACTOR-805 is groundbreaking because we are integrating Dai, the decentralized stablecoin from MakerDAO, into various parts of the security token process: we will accept Dai from investors, and will give investors the option to receive interest payments in Dai. The structure is the first tokenized, credit tranched debt security to incorporate stablecoins into purchase and payment processes. Dai, as a stablecoin, has the potential to remove banks as transfer intermediaries by enabling investors to be paid seamlessly through the Ethereum network. We believe this kind of automated interest payment will help streamline the back end of these transactions, which are typically slow and costly. The Factora team is excited to catalyze this first intersection of stablecoins and tokenized securities in this inaugural deal with MakerDAO. As a stablecoin, Dai is not intended to be subject to the volatility of cryptocurrencies (see chart: Normalized Dai/USD and Dai/ETH Prices). Stablecoins bridge existing financial and crypto markets by utilizing the same reference pricing, empowering users to remain in the digital sphere while allowing real-world assets to come online. They carry some key benefits of fiat currencies, including the stability of the asset or currency to which it is linked — such as the US Dollar. Key benefits of cryptocurrencies also apply: fast and trustless settlement, frictionless transfer, and use of blockchain technology. We believe in the Dai stablecoin and are pleased to incorporate it specifically into FACTOR-805. MakerDAO is noteworthy in the space for presenting a creative solution to the conundrum of volatility in stablecoins backed by other cryptocurrencies (read more here). The information above is for informational purposes only and should not be viewed as an offer to sell securities or as an investment recommendation or investment advice. Offers to sell securities can only be made through official offering documents, which contain important information about the investment opportunity and risks relating to the investment. You should carefully read the offering documents and consult with your own tax, legal and financial advisors with respect to the merits and risks of an investment. Propellr.com is a website operated by Propellr LLC. Beginning December 1, 2016, Propellr Securities LLC, a registered broker-dealer and member of FINRA, has acted as exclusive placement agent for new offerings on this Website. Propellr Securities LLC is a member of FINRA and SIPC. Please check our background on FINRA’s BrokerCheck. In loving memory of Oscar Fisch, who has been an inspiration to Propellr since inception.